A proverb story A husband is found, a son is born, but the brother is lost. 1 A proverb story A husband is found, a son is born, but the brother is lost. 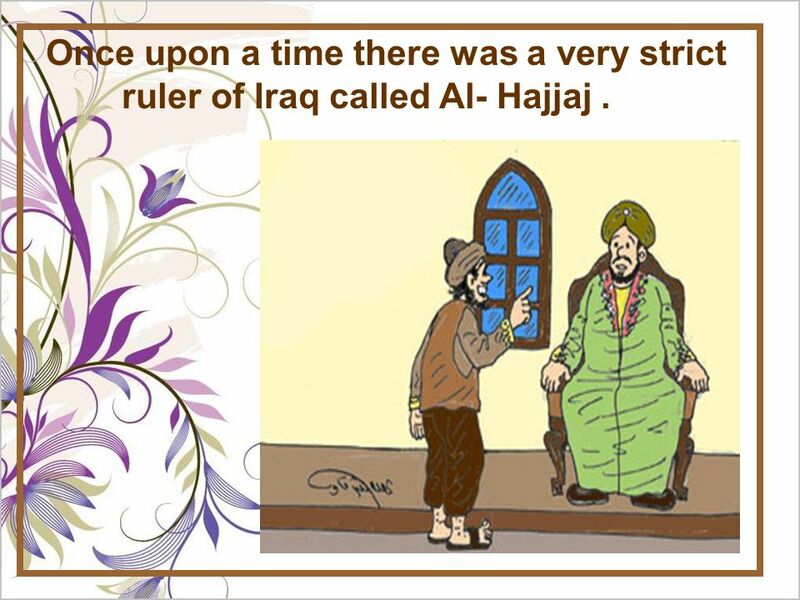 2 Once upon a time there was a very strict ruler of Iraq called Al- Hajjaj. 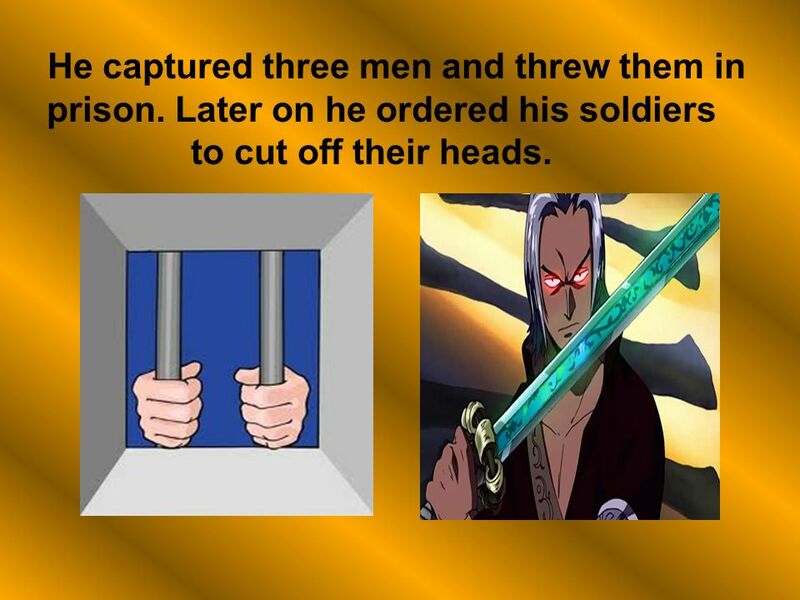 3 He captured three men and threw them in prison. Later on he ordered his soldiers to cut off their heads. 5 He asked her what are you crying about? 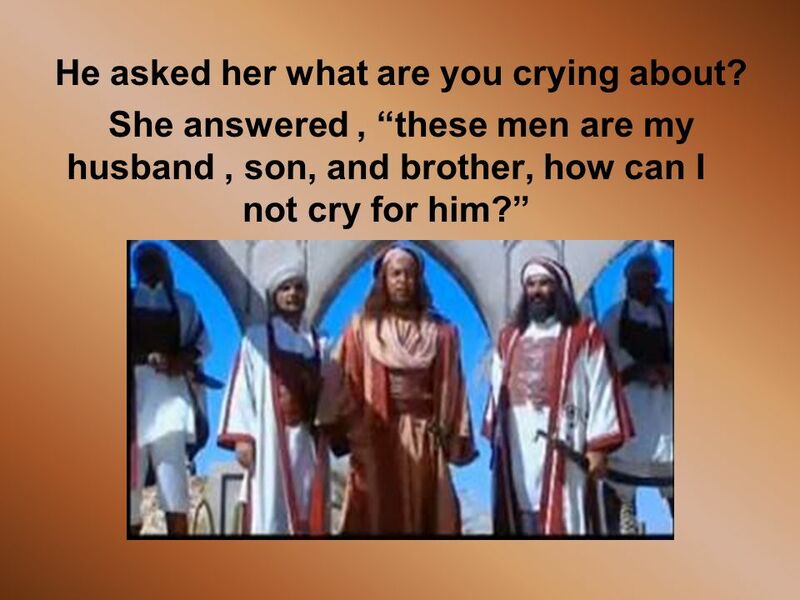 She answered, these men are my husband, son, and brother, how can I not cry for him? 6 Al- Hajjaj said, choose one of them and Ill set him free! 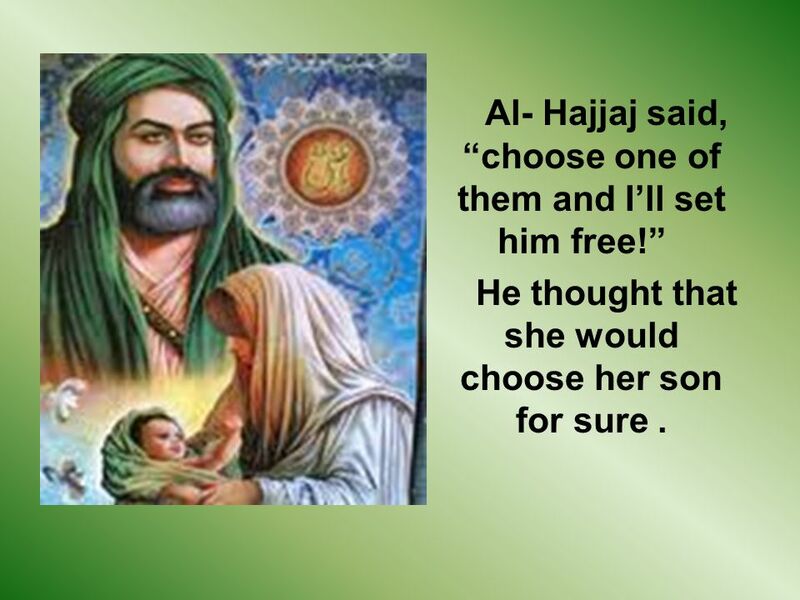 He thought that she would choose her son for sure. 7 It was a difficult decision to make. She was silent for a while then she said, A husband is found, a son is born, but the brother is lost. I choose my brother ! 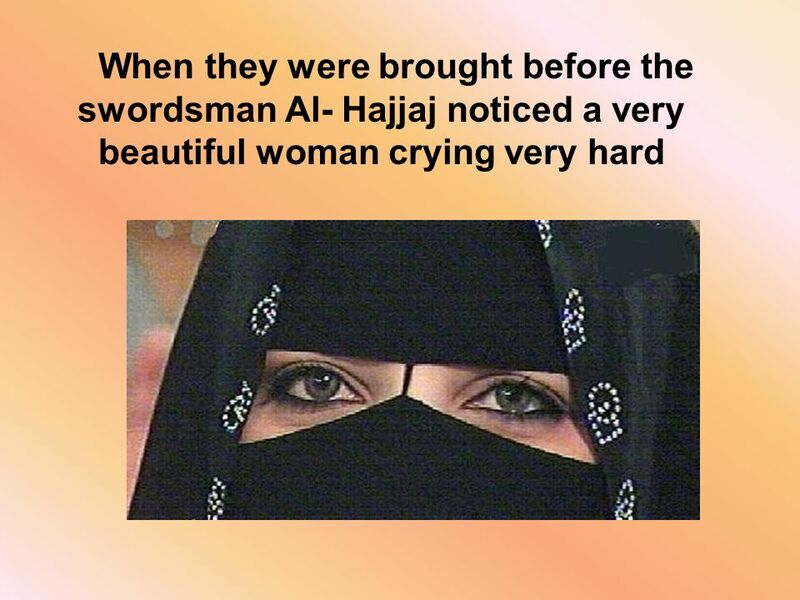 Al- Hajjaj was astonished of her answer and asked about the secret of her choice. 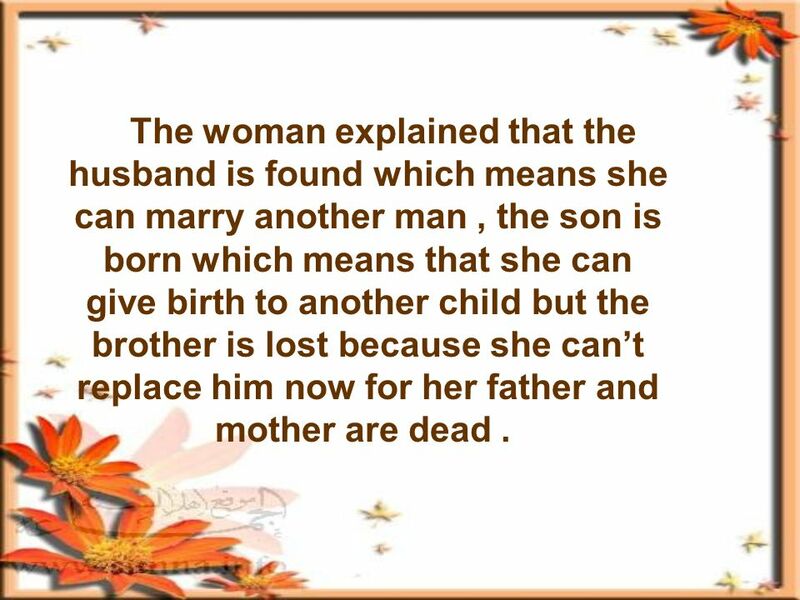 8 The woman explained that the husband is found which means she can marry another man, the son is born which means that she can give birth to another child but the brother is lost because she cant replace him now for her father and mother are dead. 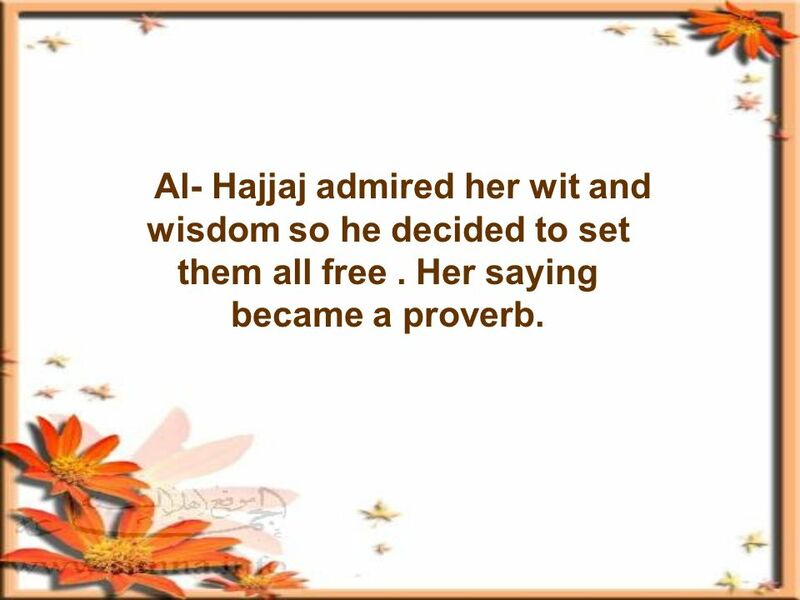 9 Al- Hajjaj admired her wit and wisdom so he decided to set them all free. Her saying became a proverb. 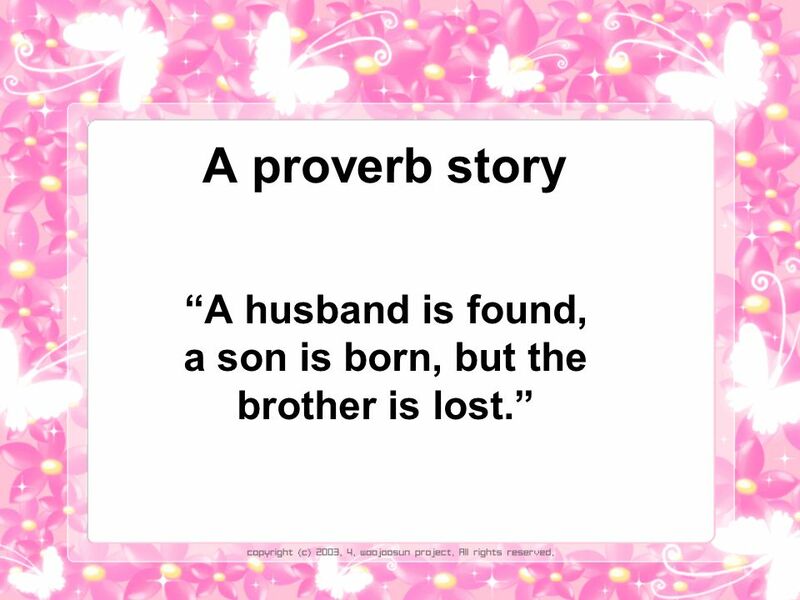 Download ppt "A proverb story A husband is found, a son is born, but the brother is lost." Tears of a Woman Cliquez. 1 “The ‘C’s of Death and Life” Part 4: Becoming a “24” Worshipper Pastor Brian C. Sweeney The path toward destruction: 2 Samuel 11:1-12:25 (excerpts) “The. SURVIVING DESPERATION Lessons from the Prayer of King David Psalm 143. 1 Boaz went to the town gate and took a seat there. Just then the family redeemer he had mentioned came by, so Boaz called out to him, “Come over here. Samson and The Lion. Who is the strongest Man you know?  Why is he strong?  What makes them strong to you?  What are characteristics of strength in. The Senator admitted to owning the gun that killed his wife. FACTS There is a Senator He owns a gun He is married His wife is dead The gun caused her. Eleanor Roosevelt By: Laura Mucha Eleanor Roosevelt was an amazing woman. She had a difficult childhood, but over came that to be the best first lady the. Isaiah 7:13-14 (NLT) Then Isaiah said, “Listen well, you royal family of David! Isn’t it enough to exhaust human patience? Must you exhaust the patience.